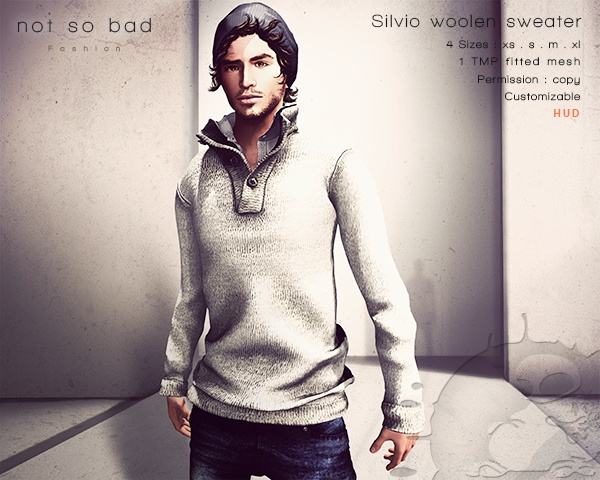 SILVIO woolen sweater is a rigged mesh cloth. 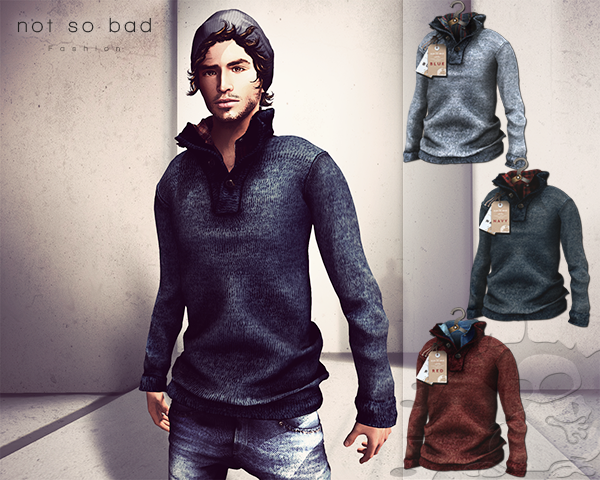 SILVIO woolen sweater is available in 9 colors. 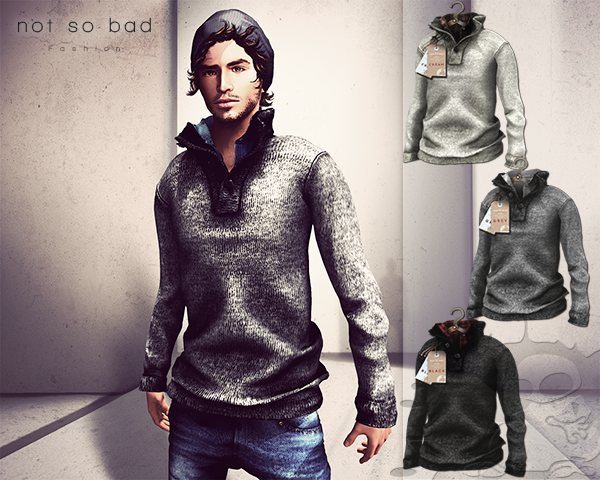 SILVIO woolen sweater can be customized with HUD. 4 sizes are included for each color. 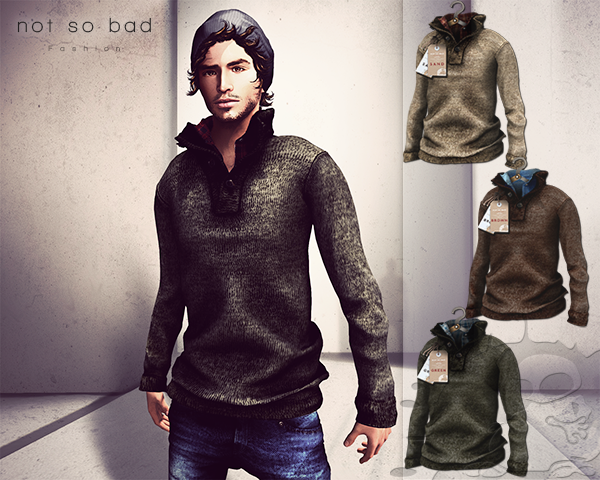 1 Fitted mesh for TMP mesh body male.